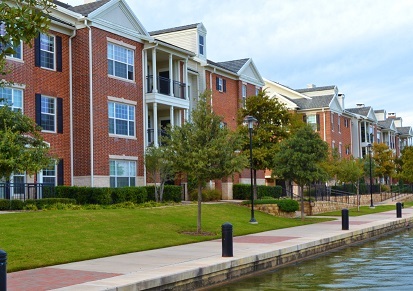 Commercial and multifamily originations slowed during the third quarter on year-over-year and quarter-over-quarter bases amid a pullback in lending activity across most property types, according to the Quarterly Survey of Commercial/Multifamily Mortgage Bankers Originations released by the Mortgage Bankers Association (MBA). "Borrowing and lending backed by commercial and multifamily properties decreased 3% during the third quarter, and was 7% lower than a year ago," said Jamie Woodwell, MBA's vice president of commercial real estate research. "Rising interest rates took some wind out of the market's sails, with the 10-year Treasury yield starting the quarter at 2.87% and finishing at 3.05%, and the 2-year Treasury starting at 2.57% and ending at 2.81%. The CMBS and bank-lending markets were the hardest hit. Meanwhile, lending backed by multifamily properties and for the government-sponsored enterprises (GSEs) continued to grow." The annual decline in originations was primarily driven by a decline in third-quarter originations for health care and retail properties. By property type, there was a 55% decrease in the dollar volume of loans for health care properties; a 28% decrease for retail properties; a 19% decrease for hotel properties; and a 17% decrease for office properties. Meanwhile, originations for loans backed by multifamily and industrial properties each increased by 19%. Among investor types, the dollar volume of loans originated during the third quarter for CMBS loans and commercial bank portfolio loans decreased from a year earlier, by 53% and 22%, respectively. Loan originations increased for life insurance companies by 4% and the GSEs by 3%. Compared to the second quarter, third quarter originations for hotel properties decreased 30%, originations for retail properties declined 22%, and originations for office properties fell 18%. Originations of loans backed by health care properties increased by 18%, as did multifamily properties by 13%. Industrial property loans were essentially unchanged. Among investor types, the dollar volume of loans for CMBS decreased 47%, loans for commercial bank portfolios decreased 10%, originations for life insurance companies decreased 6%. Meanwhile, GSE loans increased by 14%.